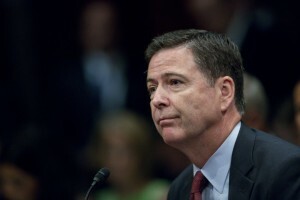 WASHINGTON — FBI Director James Comey says federal law enforcement has seen far fewer Americans try to travel abroad to join the Islamic State in recent months. He says the FBI is aware of six who have attempted to join the Islamic State in the last three and a half months. That’s in contrast to the nine or so who used to try to go each month. Comey provided those numbers while testifying Wednesday before the House Homeland Security Committee. He said he wasn’t sure how to explain the drop, but said one factor may be the efforts the FBI has made in the last year to try to stop the flow. Dozens of Americans have been arrested in the last year on charges related to supporting the Islamic State.